Various European nations, as well as different cities in the US, are engaged in building health-centric cities, with a healthy life for the people residing in them as a USP. The concept of healthy cities has been catching on across the globe. Various European nations, as well as different cities in the US, are engaged in building health-centric cities, with a healthy life for the people residing in them as a USP. Interestingly, efforts to implement this new and progressive residential concept are also underway in India. Among the cities in the country which hold the potential for success on this front, Pune stands out on various counts. First and foremost, the ‘healthy city’ concept can be successfully superimposed on the integrated township model. 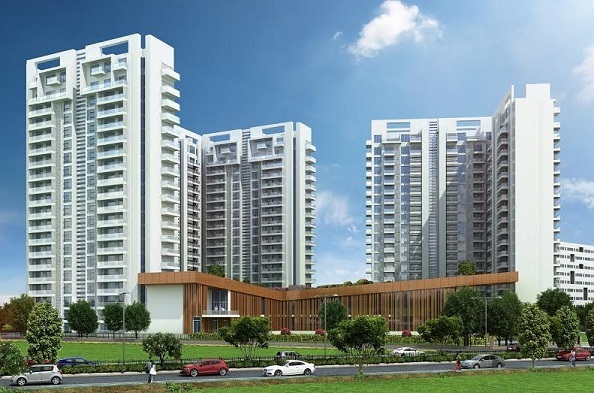 With Pune already having distinguished itself as the country’s leading Townships City, there is ample scope leading township developers to adopt the healthy cities concept and providing the benefits to their customers. However, for the health city concept to be delivered to its fullest scope, an entirely new city – or city-within-a-city, needs to be created. The term healthy city is being used in context with large urban areas which have specifically adopted parameters that promote advanced public health into their design fabric, to directly benefit their residents. While this concept can be implemented to a marginal extent in smaller areas, it takes considerable scale to deliver such design elements to sufficient saturation. Health-related features and benefits must be worked in at a core level, and not be merely superficial. Environmental factors as well as the infrastructure of the city play pivotal roles in determining if the city is healthy or not. There are many things that need to be properly implemented in a health-focused city. Districts within cities are the best places to begin a healthy city initiative. In such a setting, it is possible to create a health-centric environment in a more integrated fashion. Also, districts are easier to control when compared to large cities. The district approach for creating health-centric urban areas has worked best globally, and this is the model we need to follow in India as well. General health reports say that a majority of people nowadays spend their time indoors – either for work, at home or for indoor recreation. Outdoor and physical activities have gone down drastically in modern day living. This kind of lifestyle is seriously hampering the quality of life of people. Efforts must be made to ensure that people can go out in fresh air, and this requires green open spaces in a pollution-free environment. With the health city concept, it is possible to obtain all these. Whenever we talk of the urban environment prevalent in India, there is no way to prevent images of congestion, pollution, infrastructure-strangling skyscrapers and vast areas of concrete development with little or no greenery. In fact, most of our central city areas are bereft of greenery or any other natural elements. In order to create a healthy city, the urban environment needs to be changed to include parks and other green areas so that people can have a connection with nature. Children need to be able to can play in parks, not in alleyways or on the roads, and adults need access to parks and gardens for their overall wellbeing. In a health city, schools can put more emphasis on outdoor activities because the city provides the required green open areas. Likewise, adults are able to practice health-related activities like jogging and yoga outdoors instead of indoors. A health city includes walking trails with spatial extensions instead of only linear pathways. People are able to engage in outdoor sports like basketball, volleyball, cricket and football in ideal settings which allow both the mind and body to develop simultaneously. Along with creating healthy urban places and energy-efficient architectural structures, a healthy city must also promote an active urban culture. This includes various kinds of events and programs within the district in which general people can actively participate and interact with one another. Public spaces like parks, auditoriums and community halls can be used for conducting group activities which promote health and encourage interpersonal relationships. Of course, a healthy city must also provide healthcare facilities within the district to provide medical assistance at any time. Therefore proper healthcare facilities should be available within the healthy city. Of course, 'green homes' concepts play a massive role in such a residential project. Residents must enjoy the benefits of adequate natural ventilation and sunlight. There should be greenery available to filter out harmful carbon dioxide and produce oxygen. However, a genuine health-centric housing project must go a decisive step beyond and promote health among its residents in other aspects, as well. For instance - stress is a known contributor to health depletion, and where else than at the level of one's own home should it be managed the most? Healthy living includes a well-connected location than reduces the need for long daily commutes, and other stress-relieving features at a project level such as means for relaxation, entertainment and community activities. At a unit level, homes in such housing projects should reduce the strains of running the household to a minimum. Regular maintenance and upkeep should be handled by a competent facilities management service, smart home features should promote ease of operation and residents should have access to features such as food courts. At a macro-level, the news is also encouraging with more and more states in India waking up to the 360-degree benefits of healthy cities. The model definitely presents various challenges to urban planners operating alone, but when they partner with real estate developers specialized in health-centric housing projects, the concept is quite possible. In Pune, the demand for healthy urban spaces is extremely high.